for featuring at this year’s #Sundance film festival. We are honored to have provided lighting and grip to so many Sundance features, since each one truly encompasses our motto of Light Everywhere. To light everywhere means to light all stories, no matter where they happen. 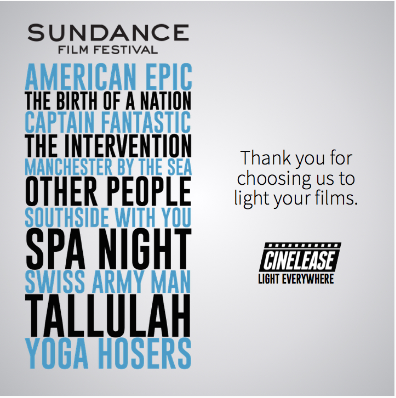 So we thank you for choosing Cinelease to serve you #onset. Newer The Quantum120 is Now Available for Rent at Cinelease! Older Visit Cinelease at the Sundance Film Festival!